Williamstown captain Ben Jolley and coach Andy Collins. 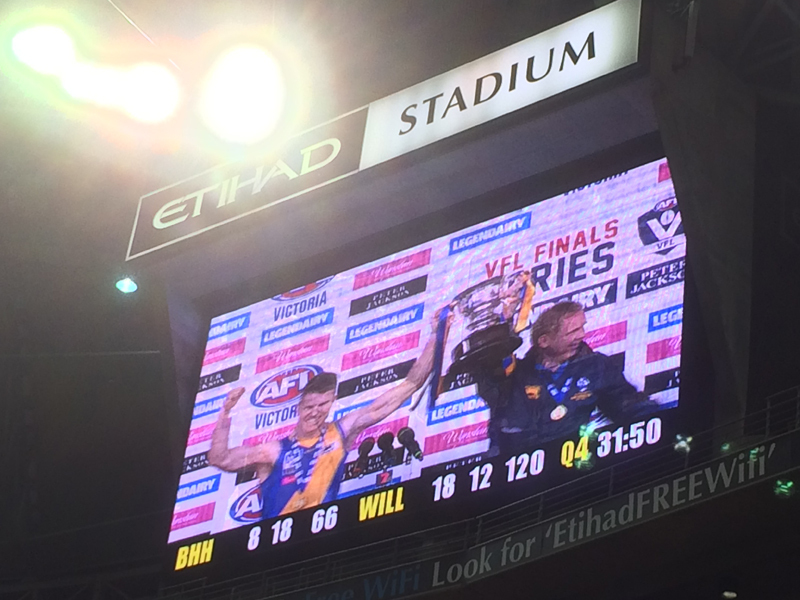 Williamstown won its 16th VFA/VFL flag on Sunday 27 September 2015 when it easily defeated favourites Box Hill Hawks by 54 points under the closed roof at Etihad Stadium. 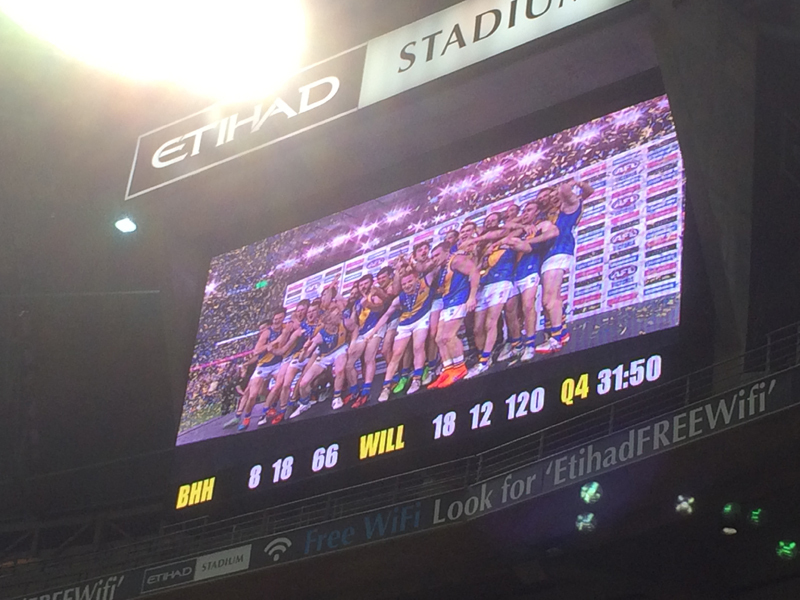 The margin was only five points at half-time but two withering bursts by Williamstown – early in the third quarter and early in the last stanza – put the premiership beyond doubt. It was the first stand-alone premiership for the Seagulls since the dramatic 1990 victory against Springvale. The Gulls also won the 2003 flag, when they were aligned with Collingwood (That game was also against Box Hill). All photos by Michael Costello. 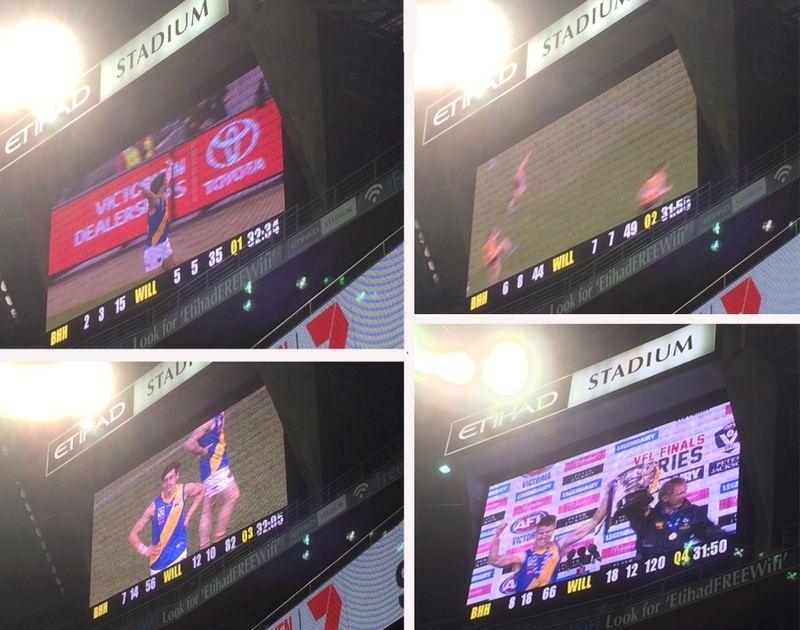 Many thanks, Michael – especially the quarter-by-quarter scoreboard photos!